We entertained 40 people for Kylie's first birthday party so coming up with a meal for that many was no easy task. We decided on pulled pork and it was amazing. It went over SO well and we were complimented left and right on it. 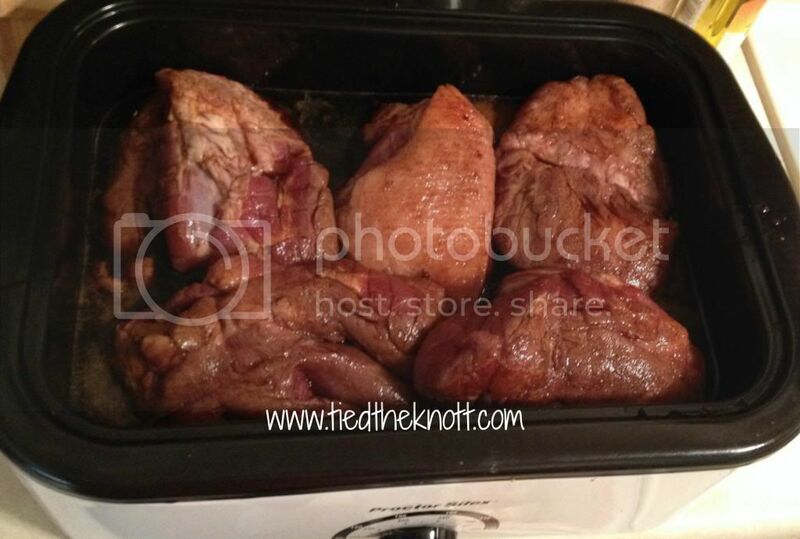 This is a modified recipe that we found on Allrecipes.com. Now, when I share this recipe, know that we were cooking for 40. So if this is just for you and your sweet little family of four, you may want to split it up... a lot. **LEAVE THE FAT ON THE PORK while it's cooking. Trust me. Place the pork shoulder roast into a large plastic bag, pour 1 cup of root beer over each roast and squeeze out all the air from the bag. Seal the bag closed, and refrigerate overnight. When your "overnight" is somplete, mix together the light brown sugar, kosher salt, black pepper, paprika, dry mustard, onion powder, garlic salt, celery salt, cinnamon, ginger, and nutmeg in a bowl. Take the pork out of the root beer and rub the spices on all sides. 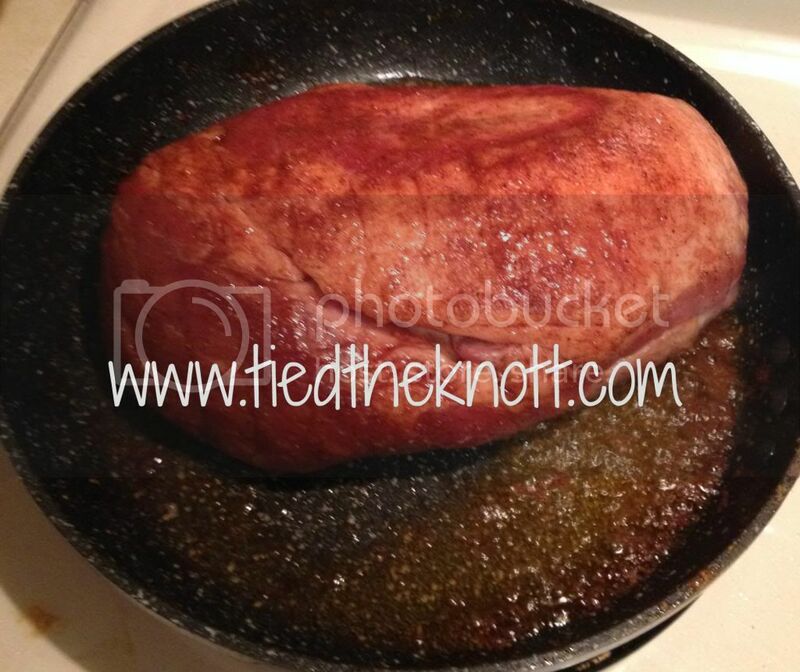 Wrap your rubbed pork in plastic wrap and refrigerate for 2 hours. When your 2 hours pass, heat the olive oil in a skillet over medium-high heat, and sear the meat on all sides until the meat develops a brown crust, about 3 minutes per side. Place in your roaster pan. Mix together the balsamic vinegar, 6 cups of root beer, whiskey, and brown sugar in a bowl, and stir until the sugar dissolves. Pour this mixture over the meat, set the slow cooker to High (or 350*), and cook for 4 to 6 hours or until the meat is cooked through and falls apart. Remove the pork from the slow cooker, and shred with 2 forks. Discard the bones if there are any and the fat. Done and done! We served the BBQ sauce on the side since the meat was SO good without it. That way people can choose their topping. I wish I had a picture of the final product but it was so delicious I couldn't snap one in time.